Perfect companion in the maker classroom! 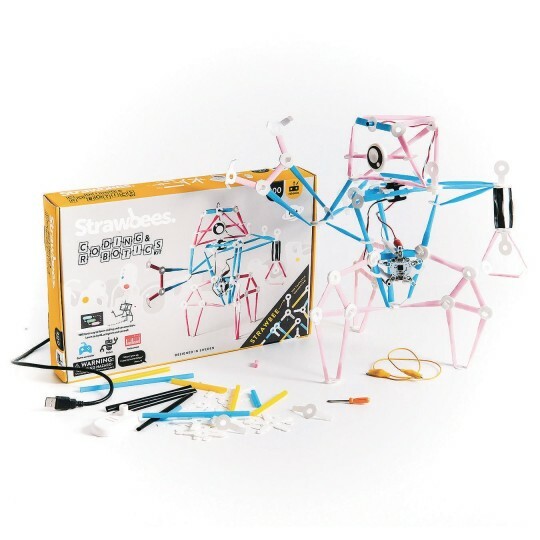 The Coding and Robotics Kit is the best and most complete Strawbees® experience. It includes Strawbees®, a programmable Quirkbot, LEDs, sensors, motor, and more! It is the perfect STEAM kit and the funniest way to tinker and learn about electronics, programming, building, and creativity. Kids can learn to code with 3 different approaches: Flow, Block/Scratch, and Text programming. The Quirkbot makes your Strawbees® creations come to life. Together, they are the world’s best combination for engineering to programming progression. With the activity booklet, you can make fun projects such as a banana piano, an interactive bridge, or make your apparel light up. The projects are fun and will teach you how to code at the same time. The Coding & Robotics Kit includes Strawbees®, servos, light sensors, LEDs, and the Quirkbot itself. The Quirkbot itself is rechargeable so you don’t have to worry about batteries. The Coding & Robotics Kit is perfect for both the curious beginner and the tech-savvy user. 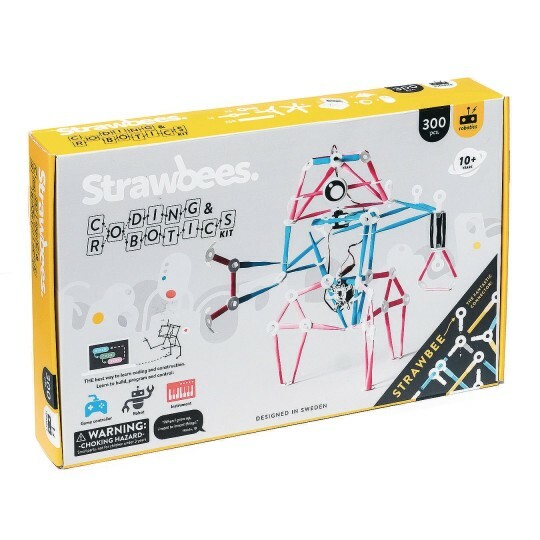 Includes 100 Strawbees® connectors, 200 construction pipes, 2 pairs of feet, 2 pairs of eyes (and eyes sheet) and instruction booklet. Electronic components box with: Quirkbot and backpack, servo motor (with arms and mounts), LEDs, light sensor, and alligator clips.